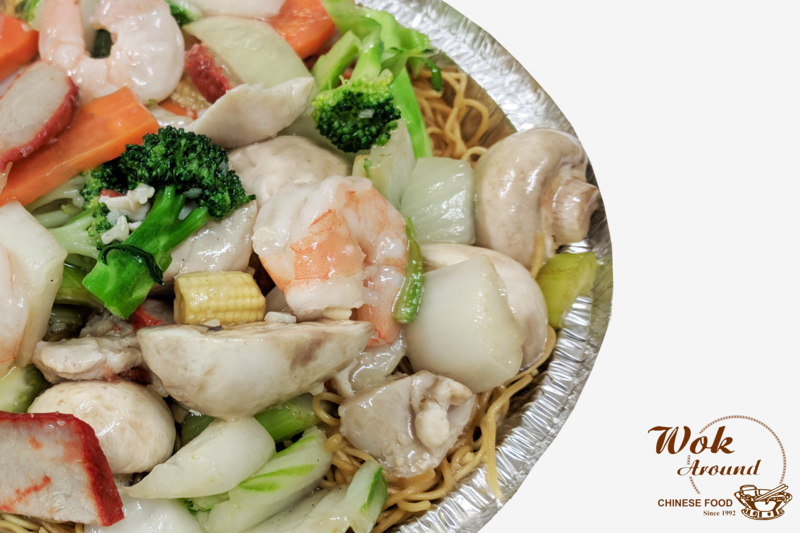 Wok Around Chinese Restaurant – Since 1992, we have been creating savory Chinese-Canadian dishes that Hamiltonians from Stoney Creek to Burlington have come to love. 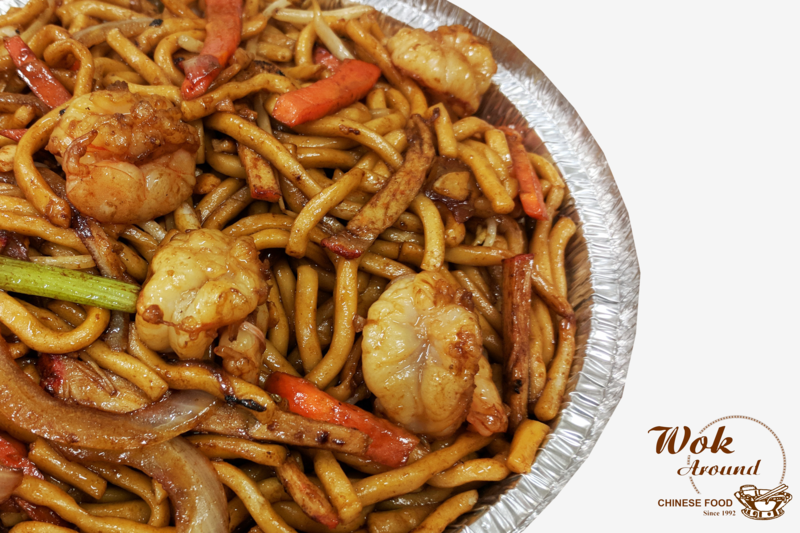 Since 1992, we have been creating savory Chinese-Canadian dishes that Hamiltonians from Stoney Creek to Burlington have come to love. 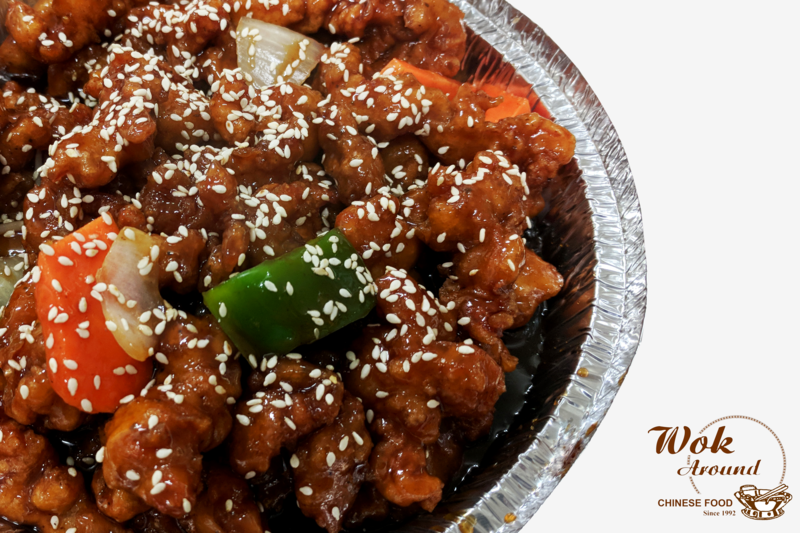 Since 1992, we have been creating savory Chinese-Canadian dishes that Hamiltonians from Stoney Creek to Burlington have come to love. A family-owned business, we tend to each customer like a friend. 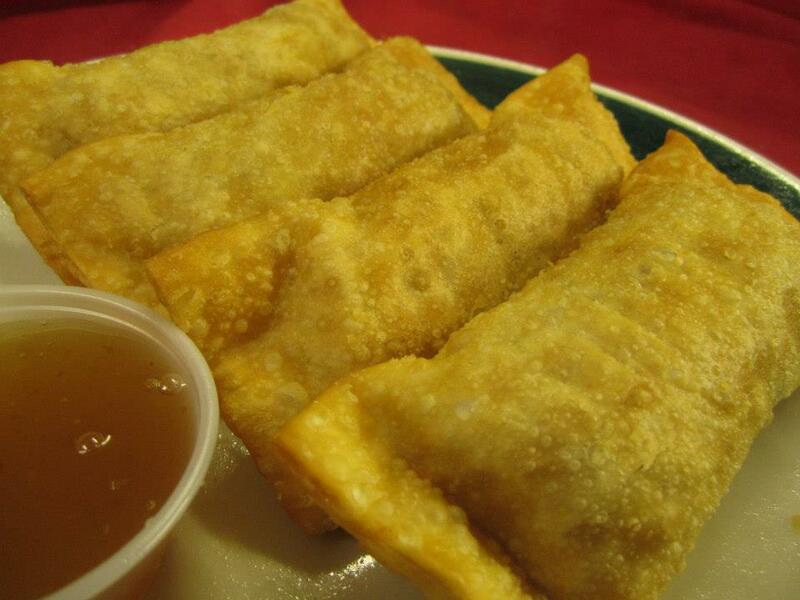 We offer a variety of dishes, from the classic Cantonese Chow Mein, to Hamilton’s first cream-cheese appetizer, the Crab Rangoon. 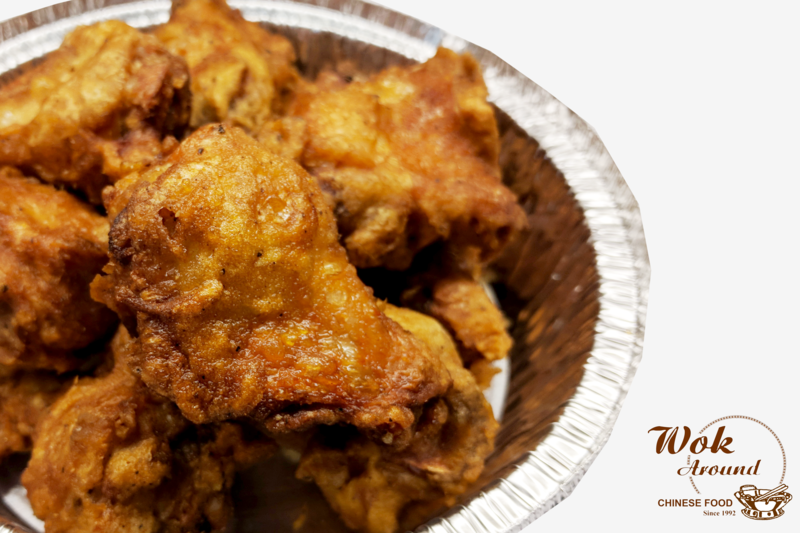 Some of the favorite dishes enjoyed by our customers include our famous General/Orange Chicken, Ja Doo Chicken Wings, Shrimp in Lobster Sauce and our savouring spring/egg rolls. 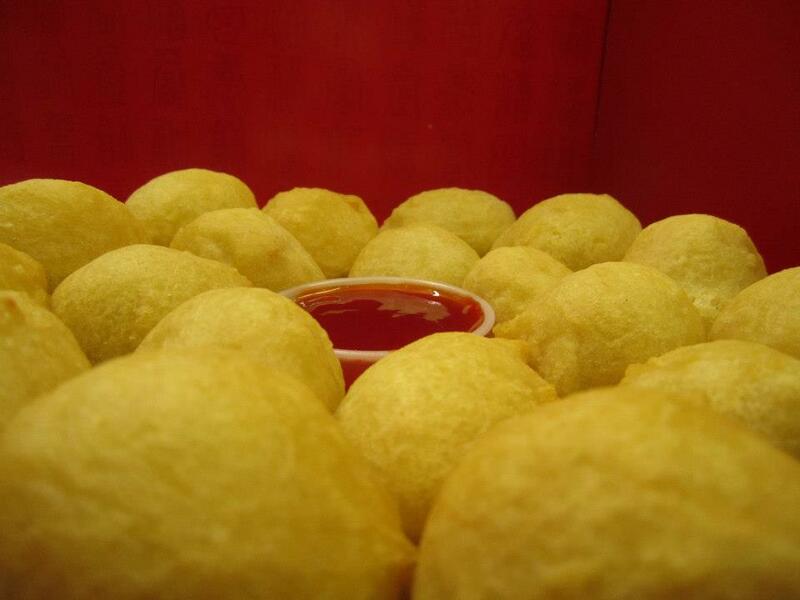 Orders can be customized to serve your catering needs and taste desires. We would like to thank all our loyal customers for their support and the compliments we have received over the years. 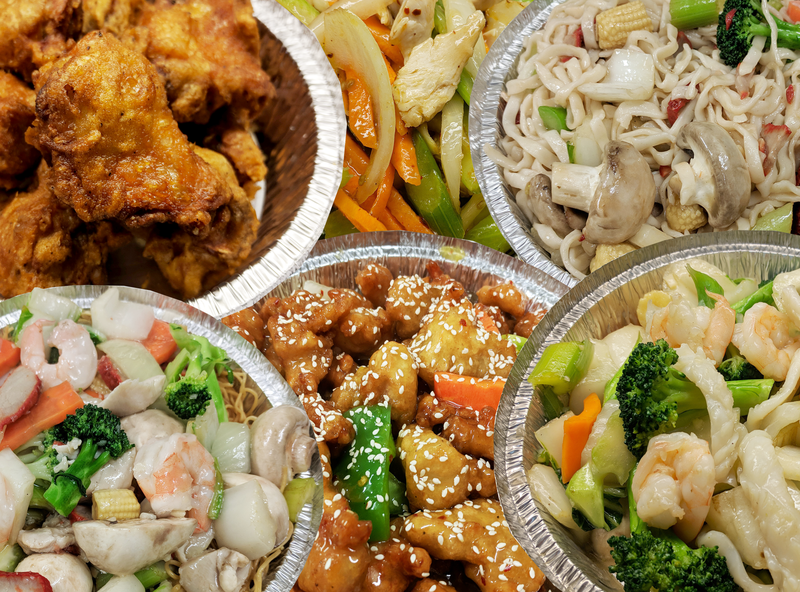 If you’re a new customer, we’d love for you to be part of our story of two going on three decades, so we invite you to give us a call the next time your mouth is watering for Chinese food. Shanghai Noodles. 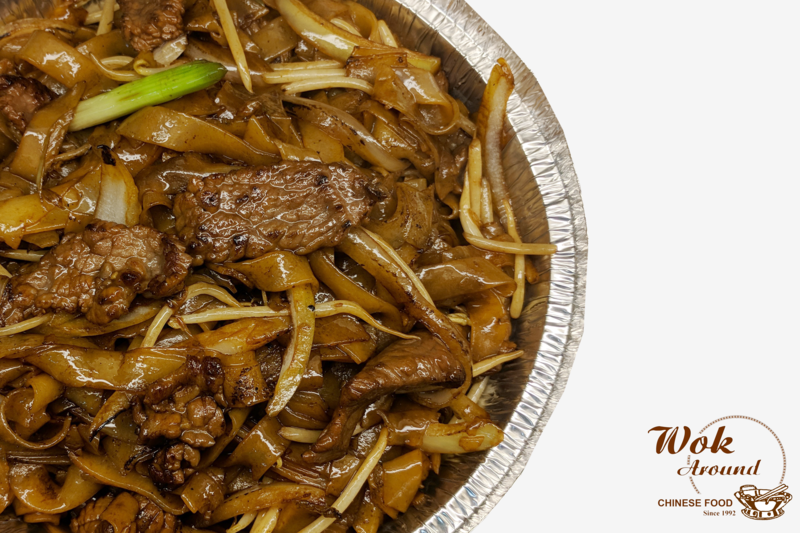 The noodles are stir-fried with pork, shrimp, onions, celery, carrots, and bean sprouts with a rich flavorful sauce. 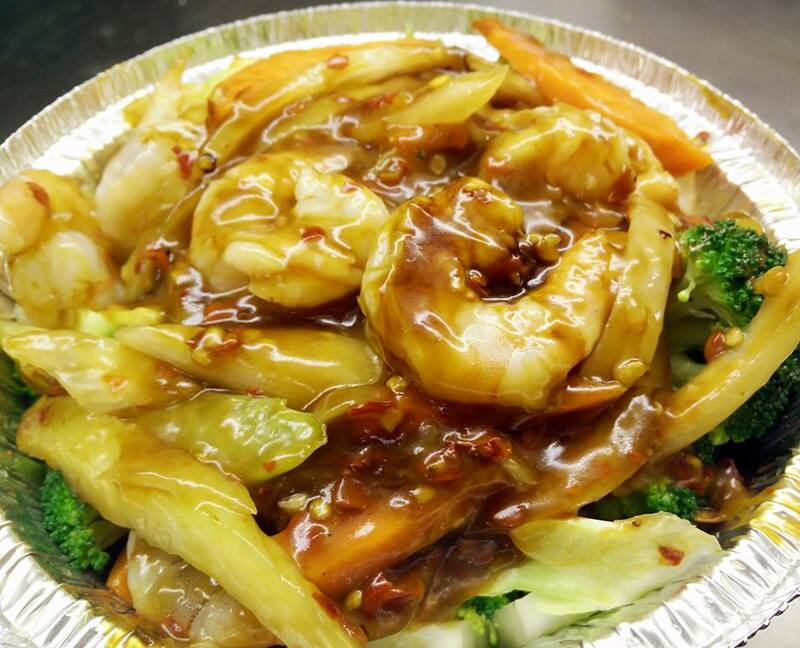 A mouth watering two layer dish with spicy shrimp stir fry on top garnished with broccoli at the bottom. This dish requires a special cooking technique that uses extremely high heat that cannot be easily achieved on a home range stove. The high temperatures creates a wok sear that brings out the unique flavours of this dish. 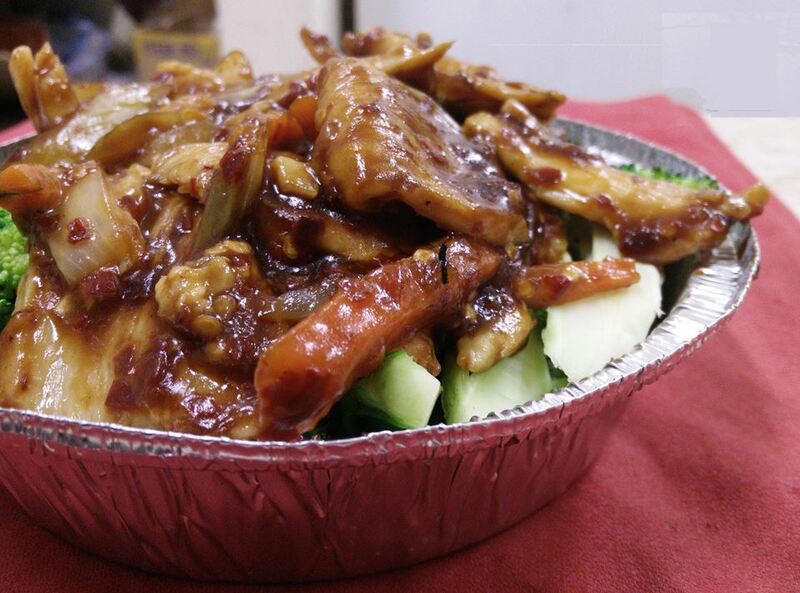 Szechuan Chicken is a pungent fragrant chicken dish originated from Sichuan province in China. 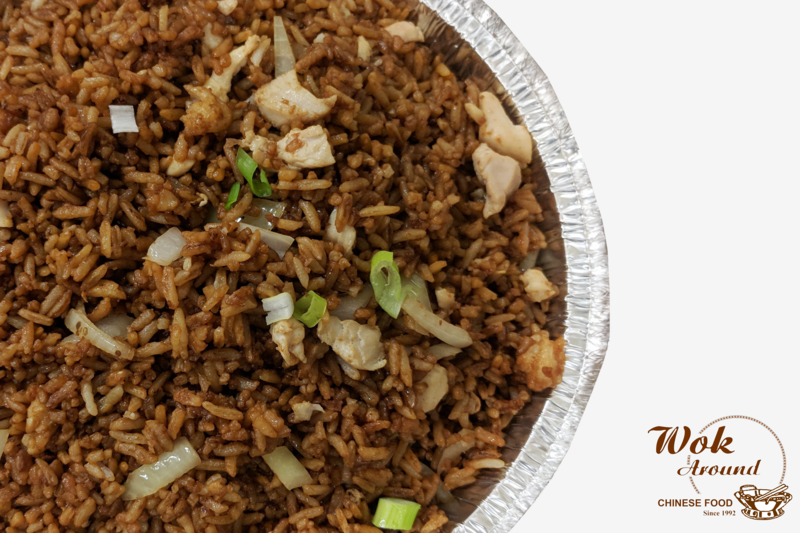 Its bold spicy flavors comes from a blend of garlic, chili peppers, and Sichuan pepper corns. 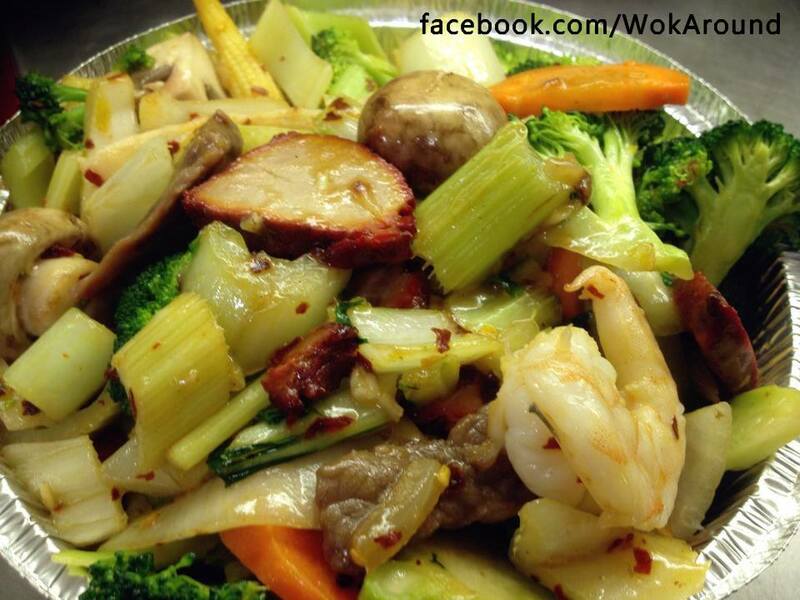 This dish is served and garnished with broccoli to create a balance with its spicy aromatic flavors. The famous competitor against the General Tao Chicken. 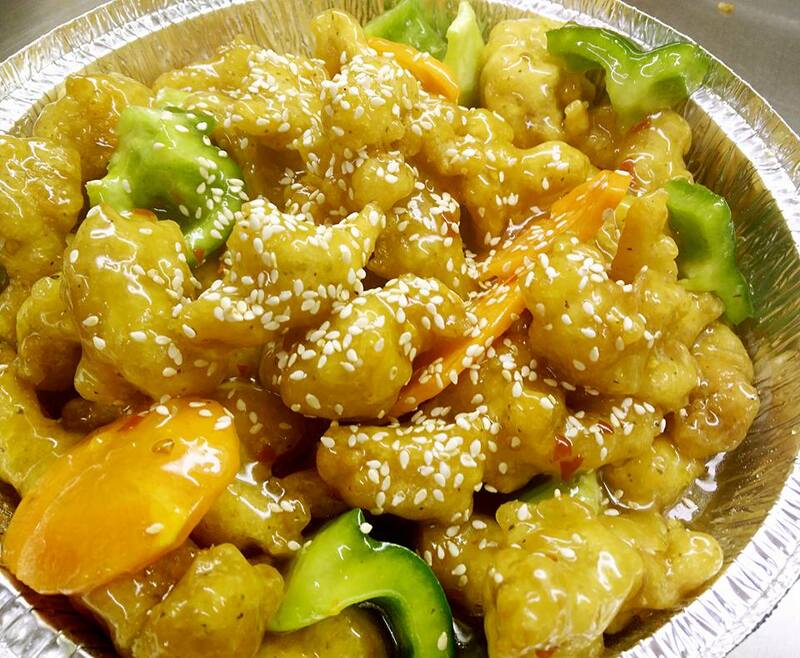 What makes the Orange Chicken unique is that the deep fried crispy chicken pieces are immersed with a tangy, sweet, and flavorful glaze made from fresh oranges.